The multitalented young stage director Alexander Donath is forging a distinguished international career. Most recently, he directed Il barbiere di Siviglia at Germany's Theater Hof and Der Rosenkavalier for Michigan Opera Theatre in the United States. He staged his first production of Puccini's La Bohème in 1992 at Walnut Creek, California's Festival Opera. 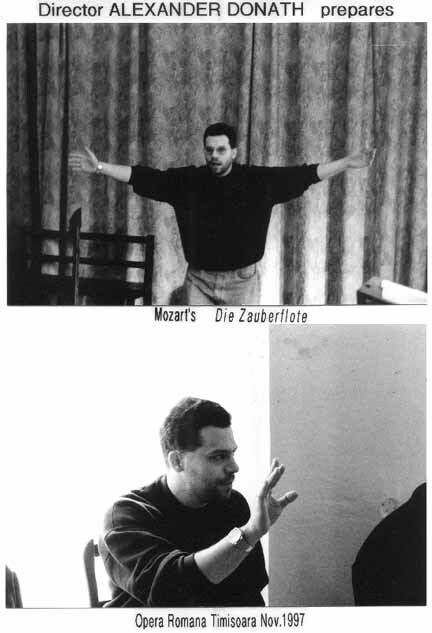 In 1997, he directed Mozart's Die Zauberflöte for Opera Româna Timisoara in Rumania. From 1987 to 1992, he worked as assistant to Harry Kupfer on the now legendary production of Der Ring des Nibelungen at the renowned Bayreuth Richard Wagner Festival. Other productions with Mr. Kupfer include Mozart's Idomeneo and Bizet's Carmen at Berlin's Komische Oper, and Massenet's Werther at the Hamburgische Staatsoper. He later served as assistant director at the Bath & Wessex Opera and contributed to new productions of Purcell's Dido and Aeneas and Puccini's La Bohème with renown soprano Renée Fleming. He also assisted on a new production of The Ballad of Baby Doe by Douglas Moore at Austin Lyric Opera in Texas, and participated in Germany's Spandau Summer Festival. In addition to opera, Alexander Donath has worked in the legitimate and musical theatre, and regularly works on classical music programs for Germany's NDR television in Hamburg. A man of many and diverse interests, Mr. Donath is a student of the Law and Business Administration, he holds graduate degrees in Theatre Science and Developmental Psychology, he has been an instructor of Theatre Science at the Institut für Theaterwissenschaft in Berlin. He is also co-author of the stage play, Speechless . "Alexander Donath broke with tradition and the libretto in several instances. The opening scene, for example, had the Marschallin and Octavian on the floor, post-coital; at opera's end, though an unpeopled stage is called for, the page enters with another servant, and together they scamper around the intertwined bodies of Sophie and Octavian, pre-coital. Is it an improvement? It is poetically apt, though just a bit blatant." "Michigan Opera Theatre's current production of this bitter-sweet tale of romantic love is an entertaining gestalt, replete with many smart and lovely moments, most furnished by the leading female voices and deft stage direction of Alexander Donath…Alexander Donath's efficient direction nicely balances buffoonery with seriousness. There are many poignant details, including an inspired reflection of the Marschallin's lost youth as she sings of the inevitable march of time." 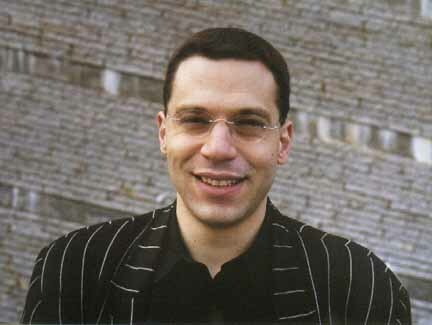 "The director (Alexander Donath) was born in 1968, but that doesn't mean he mimics the 1960's criticism of capitalism. He does not ruin the opera by trying to use it to teach a lesson, he uses characteristically exaggerated scenes and situations to bring insight." "This Rossini is absolutely modern - in spirit of the age…In addition, Alexander Donath set this masterpiece in a stylized present time…Time and again, there was applause for the staging and in the lively conclusion several 'bravos' were also mixed in for this animated production of a high level." "The talented young director, Alexander Donath, set Beaumarchais' 18th century Seville in a toy store. In addition, the movie projection that came on and off was a second unfamiliar device that served the staging well." "Director Alexander Donath emphasizes the youth of these characters with lots of pranks and games between Rodolfo and his attic roommates. Where it counts, though, Donath lets Puccini's music do the work." "Alexander Donath's active intelligence, his pleasant radiance, politeness in association with superiors and colleagues brings him rapidly to a special place with a director's team. I would appreciate the opportunity to work with Alexander Donath again at any time."